The aim of The Bible Book By Book is to furnish students of the Bible with an outline which will enable them to gain a certain familiarity with its contents. While it is intended especially for students in academies, preparatory schools and colleges, the needs of classes conducted by Women's Societies, Young People's Organizations, Sunday School Normal Classes, Y. M. C. A. and Y. W. C. A. and advanced classes of the Sunday Schools have been constantly in mind. Its publication has been encouraged not only by the hope of supplying the needs mentioned but by expressions that have followed public lectures upon certain books, indicating a desire on the part of Christians in general for a book that would, in a brief compass, give them some insight into the purpose, occasion and general setting of each of the books of the Bible. 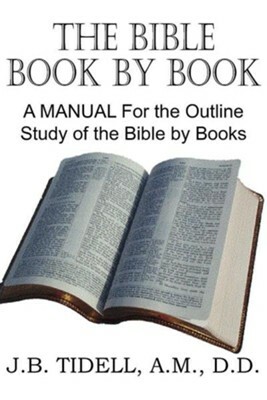 I'm the author/artist and I want to review The Bible Book by Book, a Manual for the Outline Study of the Bible by Books.